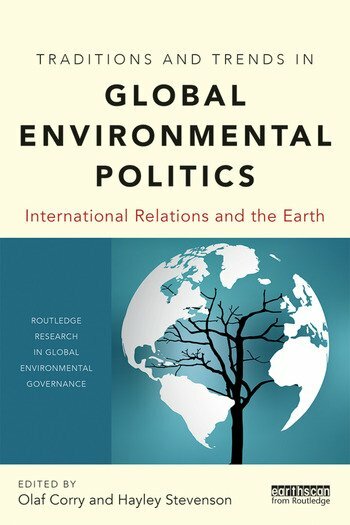 Focusing in particular on the key trends of the past 20 years, this volume explores the main developments in the global environmental crisis, with each chapter considering an environmental issue and an approach within IR. In the process, adjacent fields including energy politics, science and technology, and political economy are also touched on. Green states and global environmental politics: Beyond Western IR? Olaf Corry is Associate Professor at the University of Copenhagen. His research is on global environmental politics, climate change and security, and International Theory. He is currently working on the security politics of geoengineering technologies. Hayley Stevenson is Reader in Politics and International Relations at the University of Sheffield, UK. Her research crosses the areas of global governance, global environmental politics, green political economy and democratic theory.